When only sixteen Dom Theodore Baily joined the English Benedictines of Downside Abbey, but occasional summer vacations spent at the picturesque island monastery of Caldey drew him to a more exclusively contemplative form of monastic life. In 1920 he transferred to this original Caldey community. He stands at the intersection of several artistic movements, and his work connects with the French Catholic artistic revival and native figures like Eric Gill and David Jones. Blessed with brilliant gifts, he sought to use them in the service of God and the Church, and together with other monks of Caldey, he drew inspiration from the Art-and-Crafts Movement in his efforts to improve the quality of the accoutrements of the Catholic Liturgy, not only in monasteries and religious houses but also in parishes. 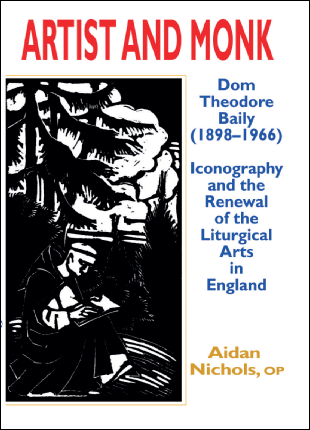 In this book we shall see not only how Dom Theodore Baily approached the entire subject of sacred art, and evaluated the iconographic tradition that preceded him, but also how he sought a corporate future for the liturgical arts in England.